Minni is hosting workshops + popping up all over town for Valentine’s Day. Join us for a special week of Valentine’s Day festivities, from card-making to cross-stitching. “Stick” the kids with us at one of our two upcoming WashiShops, a most cheerful and colorful collaboration with renowned Japanese brand MT Washi Tape. 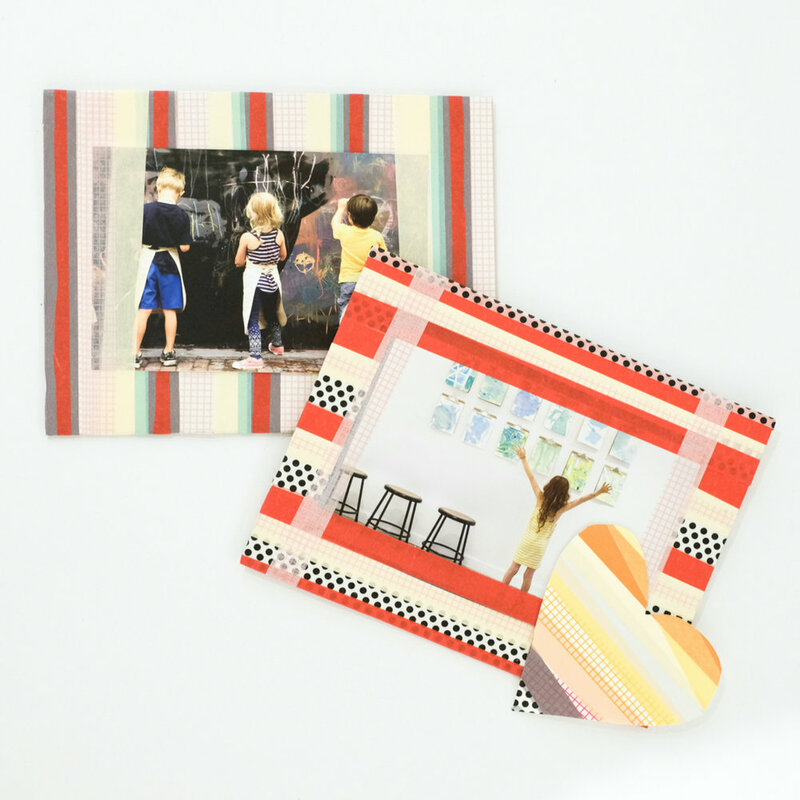 We'll explore a suite of sticky properties as little designers ages 6-10 use a veritable rainbow of washi pieces to create unique Valentine's Day cards for special loved ones. Spend your Super Bowl Sunday at FoMu in Boston’s South End for a sweet afternoon of cones + Valentine’s crafting. 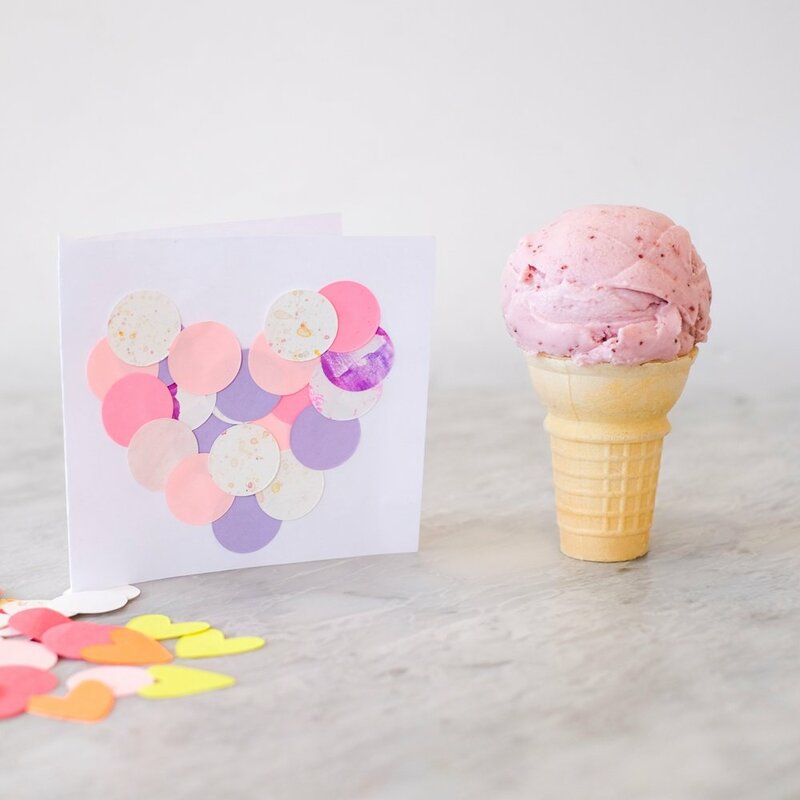 Grab some ice cream courtesy of FoMu (with purchase only) and enjoy a free Minni Valentine’s craft using patterned paper and recycled materials. Stop by Belmont KidSpace for a Minni Valentine’s craft using recycled materials. Explore, play, and create! Stitch your Valentine’s Day plans together with this workshop’s new take on an old tradition, as small sewers ages 6-10 are invited and encouraged to embrace embroidery in a fun and modern way. Instructor Caroline will have the crew in stitches as she playfully teaches the fundamentals of cross stitching and coaches classmates to the creation of Valentine’s Day inspired compositions. Minni is coming to CouCou, Boston’s most beloved children’s boutique located in the South End! CouCou is teaming up with area small businesses for Picture my Valentine, a special Valentine’s event fit for the whole family. The event will feature a photo booth courtesy of Eric Levin’s Posey Pose, sweet treats from Blackbird Doughnuts, and a free picture frame decorating station presented by Minni.